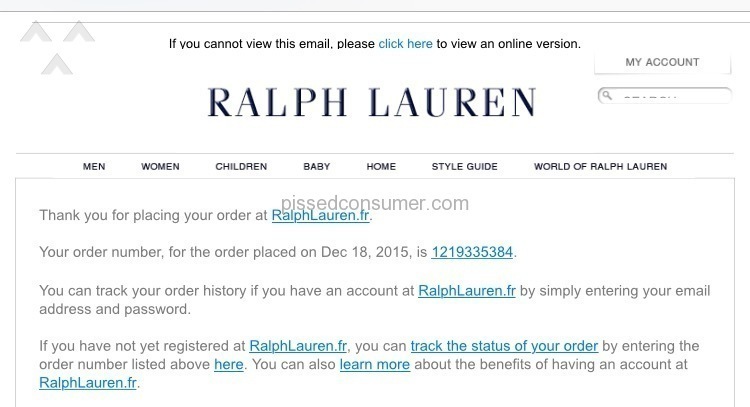 Ralph Lauren - high brand - low service! 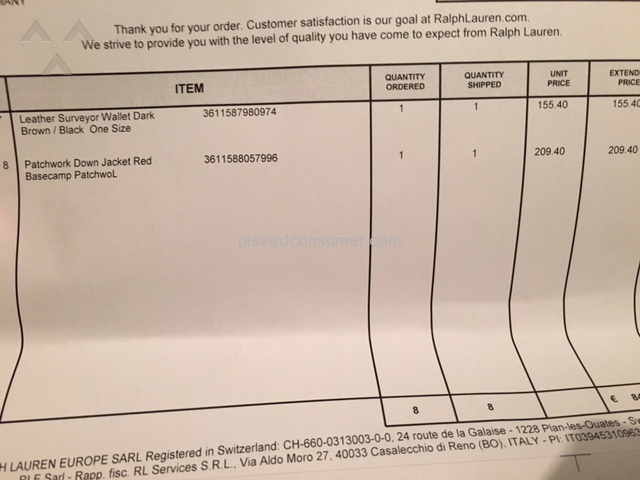 On a business trip in Milan I visited brand store of Ralph Lauren and made a number of purchases, including 2 shirts Ralph Lauren (Polo Ralph Lauren Custom Fit 16 1/2) – for myself and as a present to my business partner, who was expected anniversary. Relying on unconditional quality of exclusive brand Ralph Lauren, I gave to my business partner this shirt as an anniversary gift. After a short time, this business partner sent to me a letter of gratitude for the gift with photos of just unpacked shirt. My surprise and shame had no bounds when I saw in the photo the hole on the presented shirt Ralph Lauren. 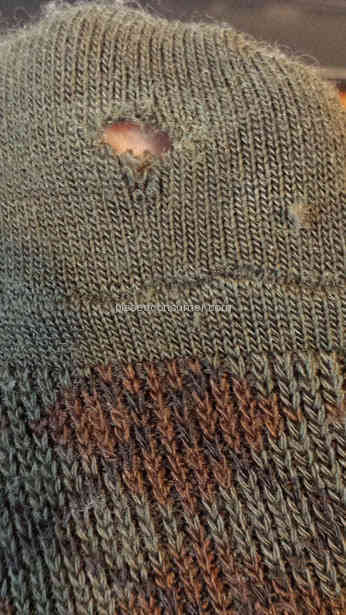 And not just a hole, but mended hole in the shirt, which has packed and sold as new! 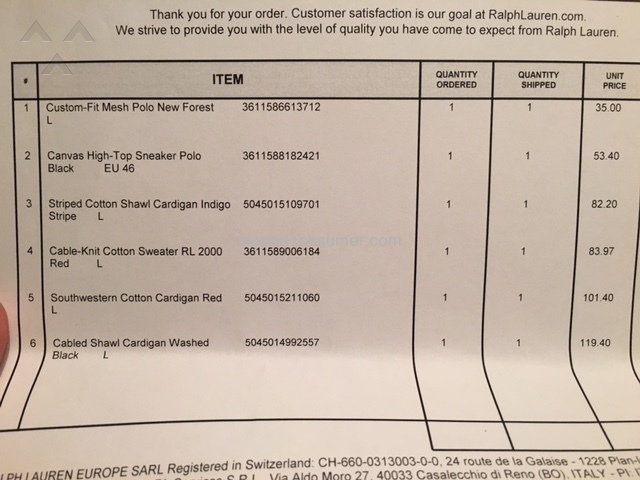 Such case is outrageous and unacceptable for such an exclusive brand like Ralph Lauren, and gives reason to doubt the quality of products in the future. 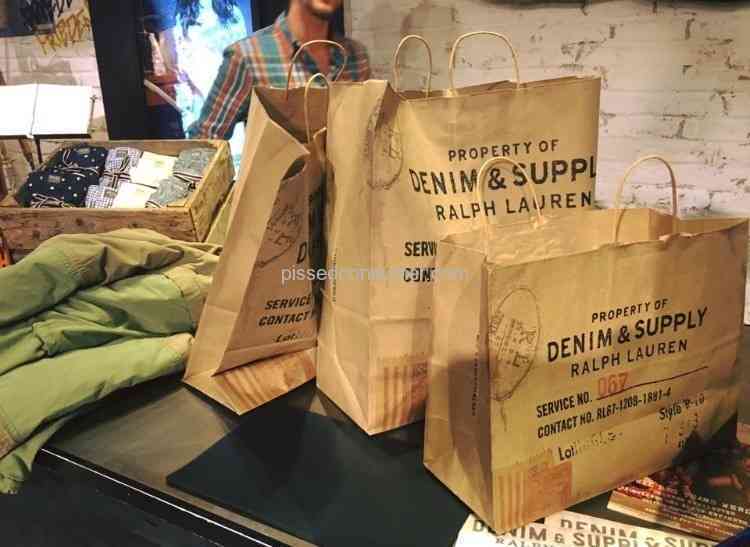 Usually in the first-class boutiques of such brands as Ralph Lauren, customers can afford to themselves not to open packed shirt in the store and check its quality. 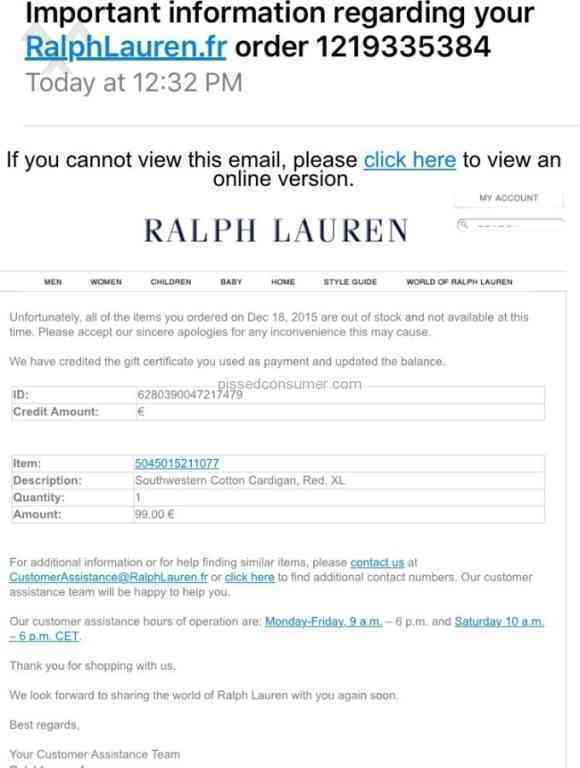 I assumed, that giving the company a permanent preference, I has the right to return the trust of Ralph Lauren about the quality and service, about what I wrote to an official representation of the company. Now I'm waiting for comments from the famous brand for about 6 month..
Only wore and washed these socks a few times and a hole emerges by the toe seam. 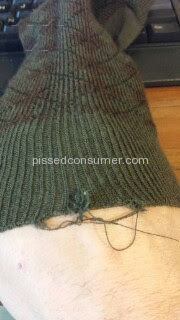 At the same time, the top end of the other sock is unraveling. Major disappointment. I read that Polo does not take returns without receipt and these were a gift. I don't even know what store they came from. It's just poor quality. Heck, I don't even have pets to blame this on. All I want is an exchange of the product. Just another pair to replace the existing pair that failed me. Nothing more and nothing less. The sad part is that I have always been happy with Polo quality. 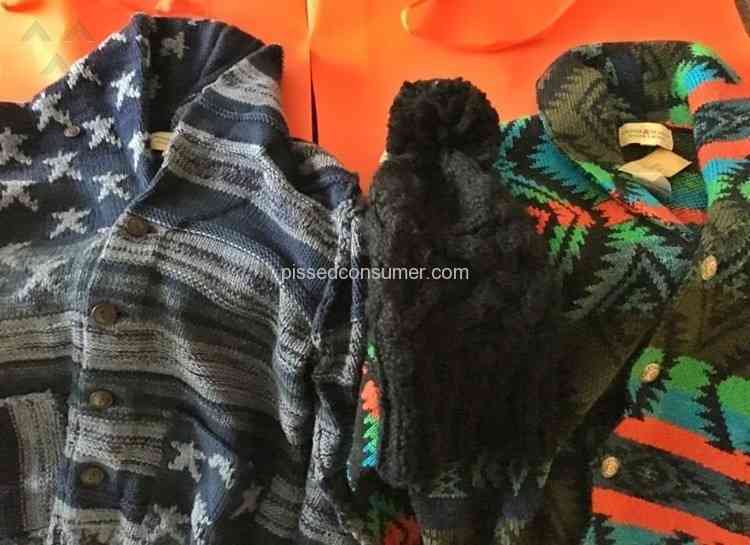 Picked up 3 Ralph Lauren pullovers from Cheshire Oaks in UK at Xmas. All have bobbled and worn quite badly after just 3 wears. Over priced inferior quality, better quality goods from Primark! I have been shopping in macy's for 40 years and have always been able to use coupons on clothing. But, for some reason Macy's will no longer take the coupons for polo shirts, pants, etc. When I questioned them they said that Polo was responsible. I think that is so unfair and your products overpriced. Also, when looking for my 19 year old son for a pair of pants....the only thing you had was slim or straight fit....my son is 5 f t 10inch. 190 lbs.....he is NOT a slim or straight. You should have all sizes available perhaps a relax fit in these young mens styles. I am extremely disappointed and the frustration of trying on pant after pant because you don't have the sizes needed. And then to top it off they are 89.00 without a coupon! I purchased two sets of your queen size sheets and the material is SOOOO hard. Had to wash them four times to soften. Never, never again. Polo Ralph Lauren coming apart. Rip off, bought a pair of trainers in york outlet store uk. Priced at £34.99 and got charged £44.99 questioned manager and respond was someone obviously stuck tge wrong sticker on it. No refund on difference. Do you have something to say about Ralph Lauren? What happened? What can we help you with?